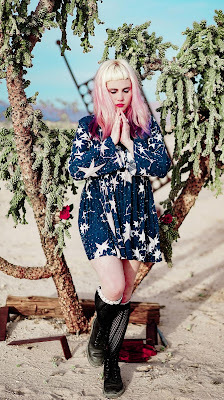 Stream Globelamp's debut album off Wichita Recordings. In the dark and musty basement of an Olympia punk house, I found myself sandwiched between sweaty college students guzzling cheap Rainier beer. Despite my surroundings, I was mesmerized by the haunting vocals from the petite yet powerful Globelamp, who was commanding the room during her solo performance. 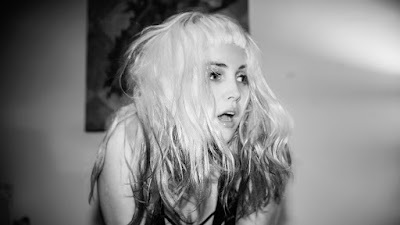 Elizabeth le Fey, who performs under the name Globelamp, penned her outstanding latest album The Orange Glow following a difficult breakup and the death of her best friend. Today, we at The Le Sigh are thrilled to premiere The Orange Glow, which will officially be out on June 10 off Wichita Recordings. Additionally, we were able to speak to le Fey about her inspirations and art-making process. Stream the album below and get happily lost in the sunny, orange daze. THE LE SIGH: What was your inspiration for The Orange Glow? Elizabeth le Fey: I was inspired by the events that happened in the last few years of my life. The Orange Glow is symbolic of a beautiful mirage that makes you want to get closer, so you move towards it, but as you get up to it you realize it is actually horrible and scary up close. TLS: What is your songwriting process like? ELF: Lots of journal writing and flipping through pages while sitting at the guitar or piano. Sometimes the words fall into it a song randomly, and sometimes I go at it with a story in mind and just need to find the words to tell it through song. TLS: Who and what has inspired you recently? ELF: Besides music, I am inspired by books and the every day mysteries in life. Right now I am reading Eva Luna by Isabel Allende. Fictional books always get my mind fluttering with lots of ideas. I have been inspired lately by a Kurdish refugee family staying at my uncle’s house in Germany. I just got to meet them and instantly became friends with the whole family, especially the children. Being with them has made me see the world in a different light. It’s one thing to hear about a refugee family, but to put a face and a body to a story really changes it, at least for me. It makes me want to write about more universal issues, human rights, the earth, war, etc. I am always inspired by death because I have been around it quite a lot. TLS: I found the feature about you on Impose extremely moving. Your story is very important. What has been your experience after being open about the injustices that have happened to you in the past? TLS: In what ways do you think the music industry and music communities should change? ELF: I think that there should be more room on radios and blogs for bands that aren’t on known labels. I wish it wasn't so political. TLS: Your songs seem very personal, and you are open about the abusive relationship that you were in. How do you hope to keep women and other traditionally silenced people’s voices amplified in communities and spaces that often mute them? ELF: I hope to inspire others who are afraid to talk about abuse or vulnerabilities. I want people to know that they aren't alone and that more people have been through stuff than you actually think. It's shocking when you realize how many people have been through similar situations. By breaking the silence and the same we can begin to start using our voices and to understand how to have healthy relationships with others. TLS: How has making art and music served as a healing process and mechanism of survival for you? ELF: Art has always been my therapy and tool for expression. When I was a teenager I was obsessed with music; bands were my life. I would memorize every lyric to a song, and I still remember them. I have kept a journal since I was nine years old. I think that writing things down is such a healing process because you're able to work out whatever you're thinking about by putting it into words. Feelings get vague and cloudy in your mind. You can untangle them and understand them when you begin to write. Playing music is the same way, meditative and therapeutic. It is a blessing to be able to put the words that mean something to music. TLS: What advice do you have for young people interested in art, music, and activism? ELF: When it comes to art and music, don’t base your worth on peoples reactions to your work. If you do that, you’ll never want to continue. Make art and music because you have a vision or a song that you want to share with the world, that you need to get out of you, for you. If other people like it, that is just a plus. I have seen people get discouraged quickly in the music world because they feel like no one is listening to their music. You have to make the music for yourself ultimately. Don’t ever put your arts worth in what other people say about it or don’t say about it. It’s good to remember many famous musicians/artists/writers who had no recognition. As an activist, you have to know that you are standing up for something that maybe not everyone else agrees with. It's good to develop a tough skin and always keep educating yourself. Don't become so attached to your ideals that you aren't open to hearing others. In order for any peace to happen on this earth we need to break apart binary notions and find the things that make us the same as humans, not notions of what we are in a box. In small grass roots political groups I have been apart of I have seen the whole foundation fall apart over people arguing about the smallest details of whether someone is truly vegan, an anarchist, a socialist, etc. When it came down to it, we were all working towards the same things as activists. As an activist you can find something to do everyday that helps the earth and humanity from what you chose to buy and what you chose to eat. From how you treat someone who isn't just your friend or someone you can get something from. There is a song by Defiance, Ohio that talks about people bickering in a political scene that I have found relevant to my life: "And let's stop this talk of them because the things we find deplorable in politicians, CEOs and cops are the same things that will tear ourselves apart and let's stop this talk of words because words like dishonesty selfishness and laziness and greed aren't as distance to us as we'd like to believe." 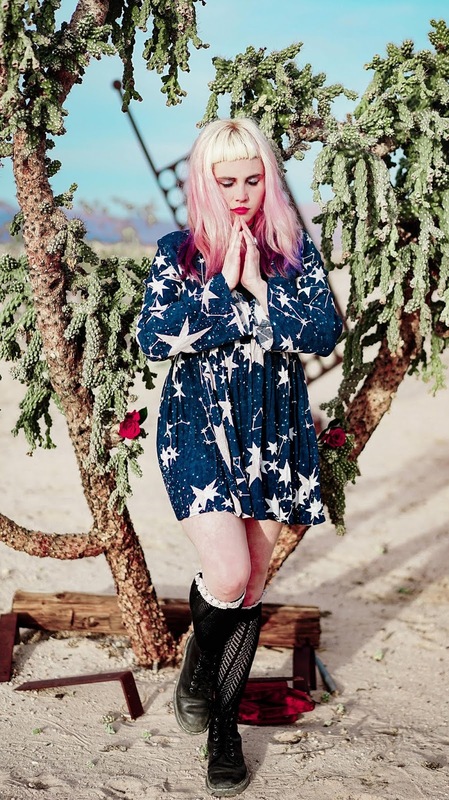 TLS: What is next for Globelamp? ELF: Touring and working on my next album! I’m always writing new songs and I have quite amount of new songs that could probably fill the next album. Listen to Globelamp on Soundcloud. Emma May is a sophomore at Barnard College studying Women's, Gender and Sexuality Studies. She likes pop punk, comics, and Haribo.